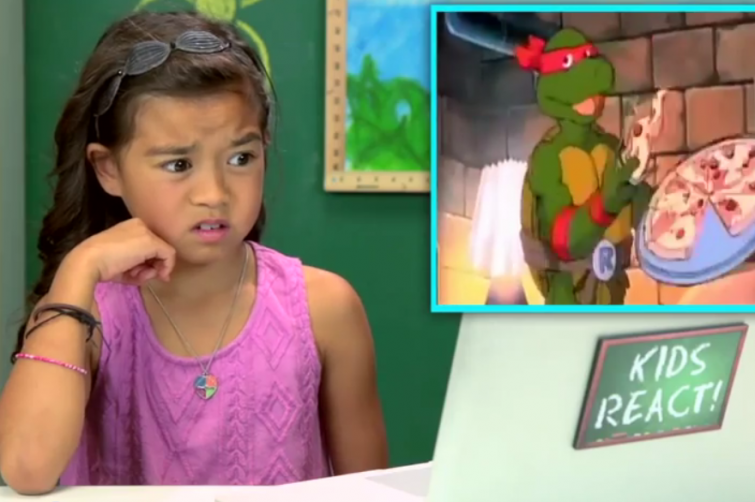 In the latest entry of Kids React, a web series by Fine Brothers Entertainment, kids are introduced to Teenage Mutant Ninja Turtles. Their reactions are sure to make fans of the original cartoon feel ancient. The kids are given a history of the television program and even react to the trailer for the upcoming Michael Bay film. Later towards the end of the episode, the people behind the scenes sing the original theme song from start to finish.